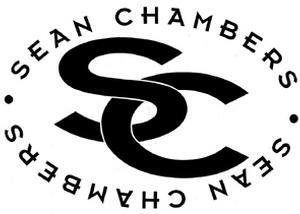 Florida born Sean Chambers toured with the legendary Hubert Sumlin as his guitarist and band leader from 1998-2003. Britain's own Guitarist magazine named Chambers as “One of the top 50 blues guitarists of the last century.” After his tenure with Sumlin, he began performing on his own, and in 2003 was asked to headline the prestigious Maryport Blues Festival in the U.K. In 2004, shortly after his second CD release, Sean was forced to relocate when his home in Florida was struck by two of the major hurricanes that hit the state, and flooded out his home. In 2009, Chambers went back into the studio to record what would be his most critically-acclaimed album to date, Ten Til Midnight. The Sean Chambers Band released Live from the Long Island Blues Warehouse in 2011, which featured 10 tracks of mostly originals, along with Sean’s distinctively searing takes on “Full Moon on Main Street,” a highlight song from an early album by The Kinsey Report; as well as a blistering version of Elmore James’ “Dust My Broom,” which recalls Johnny Winter in its approach. On October 15, 2013, Sean Chambers released his latest album, The Rock House Sessions, on Blue Heat Records. The album received great reviews and was also nominated for a Blues Blast Music Award in 2014 for “Best Rock Blues Album of the year. The Rock House Sessions features a number of firsts: it’s the first album he’s recorded as Sean Chambers rather than the Sean Chambers Band; producing for the first time is legendary keyboard player Reese Wynans (best-known for his long tenure as a member of Stevie Ray Vaughan’s band); and it’s his first recording exclusively using studio musicians, as Sean and Reese drew from the deep talent-laden pool of Nashville musicians and songwriters. The album was recorded at the studio of another acclaimed keyboardist – Kevin McKendree (Delbert McClinton Band) – named The Rock House, hence The Rock House Sessions. The core band on the album aside from Sean on lead vocals and lead guitar includes Reese Wynans on keyboards, Tommy MacDonald on bass and Tom Hambridge on drums. Special guests include Rob McNelley on guitar, TJ Klay on harmonica, Chaz Trippy on percussion, Etta Britt on backing vocals, Bob Britt on guitar, Steve Herman on trumpet, and Jim Hoke on sax. Besides three new original Sean Chambers compositions, The Rock House Sessions includes “Choo Choo Mama,” written by Alvin Lee; “Holding On” written by Gary Moore; and “Come to Poppa,” written by Willie Mitchell and Earl Randle but made famous by Bob Seger. Other tracks include new songs by Gary Nicholson, Tom Hambridge, Kenny Greenberg and Rick Vito.